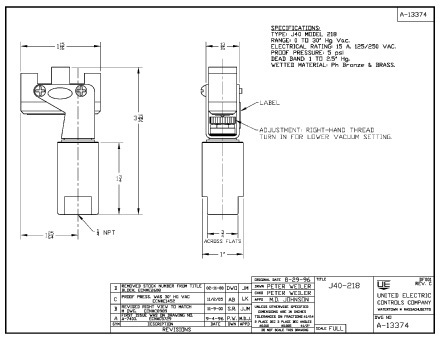 The J40 can be utilized in OEM applications where compact size and performance are required. 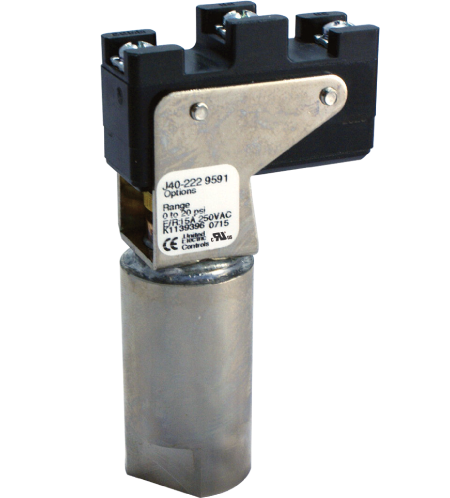 The sealed bellows sensor provides a “leak-free” sensor for applications where elastomers are unacceptable. 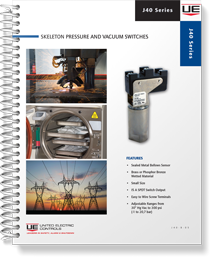 Proven reliability involving sterilizers, plasma-cutting, anesthesia equipment, and even protective switching devices for power equipment, have made the J40 a versatile OEM pressure switch.